Local business websites that work. Simply put, WordPress pretty much powers the web. And WordPress just happens to be a PERFECT match for small business websites. Fast, flexible, and ever evolving. Just like the Web itself. Chances are that you know at least one person who has a WordPress website. Most likely you know a few. The fact that WordPress is very SEO friendly benefits us greatly. Everyone likes to come up on Google! 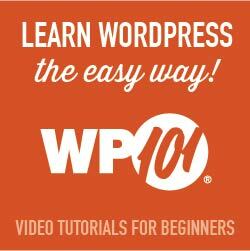 Changes are extremely easy and quick to make with WordPress. These days, you do not want to wait or have to call an expert just to fix a typo, or add that new specials page to your site. Time and money are too precious. Never let your competition get the edge. And the fact that WordPress is constantly being improved upon is an important factor. No need to worry about becoming out of date. All updates done for you. All WordPress backups done for you.